When you fly frequently for business, you need a handful of dependable companies that you can rely upon without much forethought. Whether you have a quick meeting you need to attend first thing in the morning or if you’re staying for a long conference, Park Sleep Fly has you covered with their easy and comprehensive packages! 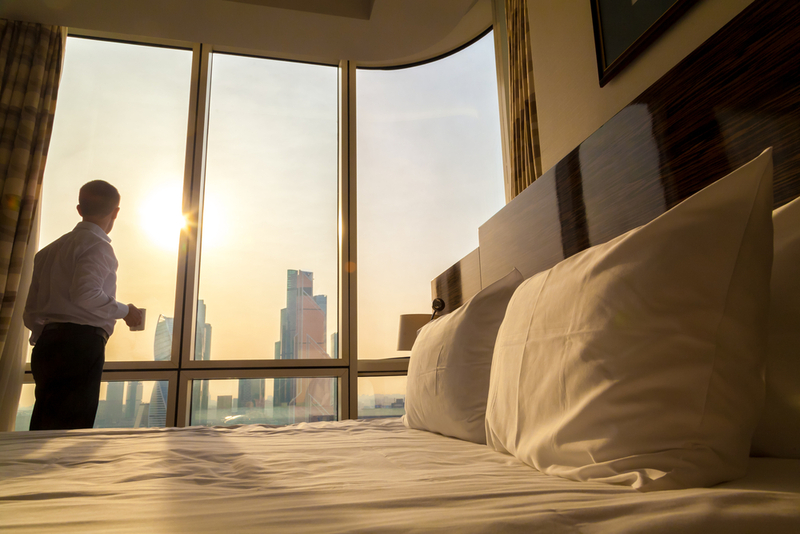 Nothing beats a good night of sleep before an important business meeting, so don’t bother with long drives to an off-site hotel after your flight. By booking with Park Sleep Fly, you’ll have a convenient overnight stay at or near the airport so you can spend less time driving and more time resting and preparing for your workload the next day. Since Park Sleep Fly offers packages that bundle hotel stays, parking and shuttles together, you save a significant amount of money as opposed to booking everything separately. You can also eliminate those expensive uber fares to and from the airport since you’ll be staying on-site. The convenience of booking through an airport hotel also opens up other money-saving possibilities. You can score rock-bottom prices by getting a seat on bargain red-eye flights (that no one else wants to fly) since you’ll have the ability to rest in your hotel room before the business day begins. Even the best-laid plans can fall through sometimes, and Park Sleep Fly has you covered if the unthinkable happens. Park Sleep Fly offers great deals, even if it’s at the last possible minute. If your hotel cancels right before check-in, or if someone is dropping you off at the airport and your flight just got canceled, check the hotel room only page on your way there and rest easy that you’ll have transportation and a place to crash for the night. You’ll even reap the rewards of advance bookings such as paying less than advertised rates, and the convenience of being right at the airport the next day for your flight. Using Park Sleep Fly for your travel plans is about as convenient as you can get. You won’t have to research multiple options yourself since booking is a piece of cake. And a great advantage, specifically for business travelers, is the convenience of being able to work at the hotel using free wifi. I think we all agree that relaxing the night before your flight sure beats rushing to pack and then not sleeping well knowing you have to drive yourself to the airport in the morning! The next time you want to book the most convenient travel package you’ve ever reserved, head over to ParkSleepFly.com; you’ll never go back to doing it all by yourself ever again.